Out! 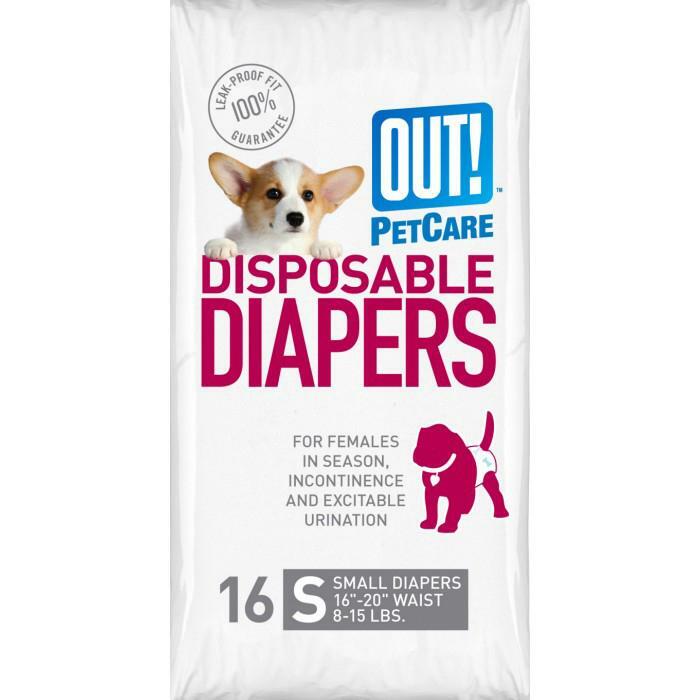 Petcare - DISPOSABLE FASHION DIAPER Small 16pk - 220_DOG WASTE PRODUCTS, Diapers and Wraps, Disposable Diapers - Product Detail - Prestige Pet Products Pty. Ltd.
For Females In Season, Incontinence and Excitable Urination. This size is Small and they are for breeds such as Miniature Pinscher, Pekingese and Maltese. Preferable weight is between 4-7kg and waist should be 40-50cm. Has repositionable tabs for a secure and comfortable, leak free fit.